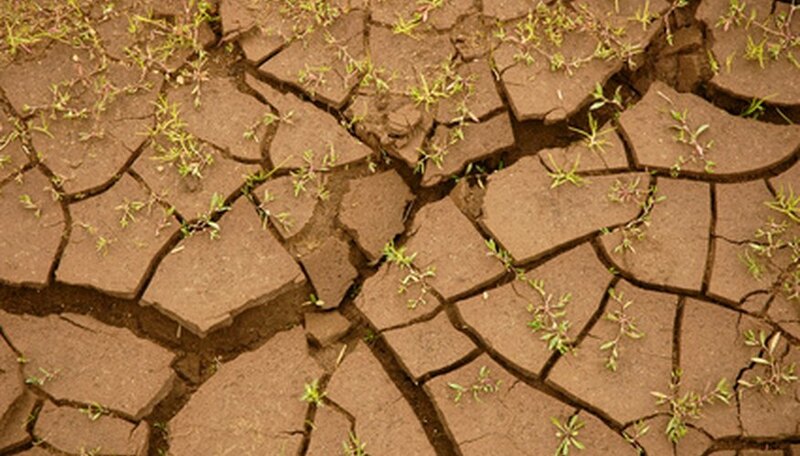 As lawns get older, the soil can become compacted, causing it to drain poorly. Water accumulates in the top level of the soil, creating a patchy, unhealthy lawn with poor root penetration. Thatch buildup and heavy clay soil can compound the problem. Fortunately, you can fix most lawns through aeration. In some cases, however, you may have to do more extensive work, breaking up and modifying the soil and completely replanting the lawn. Rent a plug core aerator from a home improvement store. Plug core aerators actually dig up plugs of soil, loosening the ground more effectively than spike aerators, which drive a spike into the ground. Walk back and forth with the aerator, covering the entire surface of your lawn as you would with a lawn mower. Aerate your lawn at a right angle to the direction you went the first time to ensure your entire lawn is evenly aerated. Reseed your lawn with a slit seeder, which pokes holes into the turf and deposits seeds inside to help break up the surface of your lawn further, treating your standing water problems. Turn the lawn over with a spading fork to break up big clumps of clay. Let the lawn sit until the dirt is dry. Lightly mist your lawn with a nozzle once it has dried. Immediately rake your soil with a garden rake to break up smaller clumps of dirt. Add a layer of 4 to 5 inches of compost on top of your lawn. Run a tiller over your lawn to mix the compost in with the soil. Reseed your lawn as in section 1. Try aerating your lawn first. If this does not resolve your standing water problem, amend the soil and replant your lawn. Old House Web: Is Your Lawn Broken?